This can be scary for patients and caregivers to realize. Fortunately, although it’s not possible to avoid all delirium (people get sick after all, or do need to have surgery sometimes), it is possible to take steps that have been proven to reduce the chance that an older person will experience delirium while hospitalized. Educate yourself about delirium. For instance, you can learn more about what brings it on, how to have it managed, and how to prevent it. See 10 Things to Know About Delirium for more. Questions about delirium and dementia? Let me know in the comments! Thank you for the information. This is such an awful disease and I hope that we can continue to develop treatments to hopefully one day prevent it from occurring. I have a twin sister age 61 that now lives in an old folks home.Karen was diagnosed with a rare brain disease called P.C.A. also she has dementia. Karen had 3 months in the hospital when she was rushed in with a brain bleed. I find Karen declining quickly and she does have halicuations. Karen started showing signs when she was in her 50’s. She was a yoga,exercise instructor and a professional mountain bike rider in her 20’s straight thru till her 40’s. Karen had a very bad fall that she was knocked out,had a helmet on but we think this could have been the start of her disease. To watch her now as she is declining quickly is so sad,since she was so healthy taught good living to so many people. Please look up P.C.A disease to get the full picture of her disease. So sorry to hear that your twin sister is declining. By PCA I assume you are referring to posterior cortical atrophy, which is an unusual variant of Alzheimer’s disease that starts with symptoms related to the back of the brain, which processes visual information and spatial information. In PCA, the first symptom is often visual problems, but it’s actually the brain rather than the eyes which are causing the problems. I am not very familiar with PCA, as it is indeed rare and apparently is more likely to affect younger seniors. There is more information here, and elsewhere online. For early-onset dementias or rare dementias, it’s generally best to seek help at a specialized memory center. I’m not sure what works best to help someone like your sister with hallucinations or decline, but most of the fundamentals of good dementia care should apply. These include treating uncomfortable problems like pain and constipation, a reassuring routine with exercise, socialization, and suitable activities, and avoidance of medications that make brain function worse. With any type of dementia, it’s also important to plan ahead for further decline and end-of-life care. I have a Slideshare on this topic here. Yes, it’s indeed heartbreaking to see a loved one decline from Alzheimer’s. Basically, is the environment pleasant, is it stimulating and enjoyable, are the workers caring and pleasant, and is your mom getting her health needs properly attended to? Those are some of the things that all family caregivers have to try to sort out, when a loved one is residing in a nursing home. Good luck and take care. Don’t forget to seek help and support for yourself; this role will never feel easy for you, but it’s often possible to make it feel a little less overwhelming and sad. My Mom have Alzheimer’s Dementia. The memory care home that she was living at, did an involuntary Mental health hospitalization. She has been there for 16 days. She is not eating and taking her meds. She is getting worse. Can she be moved to hospice. I am my mom’s POA. she does not want to have a feeding tube. The memory care place will not take her bad. Skilled nursing will take her with us paying private care and having hospice go there to help her. The hospital is telling us that she can’t quafity for hospice for dying because its just the dementia causing her to refuse to eat and take her meds. She is dying. But they want us to pay 8,000 dollars to put her in a nursing home. My brothers and myself do not know what to do. Sorry to hear of your mother’s difficulties. Q&A: Hospice in Dementia, Medications, & What to Do If You’re Concerned. Another idea: Can you request a palliative care consultation? Palliative care specializes in addressing distressing symptoms but also in helping patients and families think through their goals for medical care. Even if your mom doesn’t qualify for hospice now, you might be able to work out a plan that is more focused on comfort and her quality of life. Whether this enables you to place her in a facility that suits her needs and yours might be a little tricker to work out, but it still could help to talk to a palliative care specialist. If paying for the needed care is an issue, I would recommend talking to a social worker. Medicaid may or may not be an option; it often takes some digging around to figure it out. You can also try contacting your local area agency on aging, or even the local Alzheimer’s association for suggestions on how to manage. Thanks for sharing your story. Going with high calorie shakes can be a good option sometimes. But in general, if a person with dementia — or really any older person — starts to refuse to eat or starts losing weight, it’s important to get a medical evaluation to find out why. Is there a dental issue or pain in the mouth? Is it that the dementia has progressed? Or it could be a variety of other issues. In short, it’s important to look into why, while coming up with a short-term solution. good luck! For about three years intermittently I have been caring for a woman in her late 80s diagnosed with dementia. As well, she has ARMD, glaucoma and hearing deficit. During a period that I was not involved with her care, her physician put her on Quetiapine 50 mg qd and Escitalopram (dose ? mg qd.) Shortly after I began working with her again, the physician began making changes in dosage and eventually discontinued Quetiapine without tapering the dose. I was getting information second hand from her daughter and unfortunately I understood that Escitalparm was discontinued also. Before and after the medications had been stopped, the lady was complaining of dizziness and feeling weak. Several times her BP was elevated also. On the morning of 20th day after the medications had been stopped, she c/o of feeling weak and lightheaded. I checked her pulse and it was thready and too fast to count. She was transported to the hospital and admitted with diagnosis of A-fib. During the evening she became delirious. The following morning she was discharged to a nursing home. The delirium worsen, the daughter blamed me for the decline in mental status, behavior and A-fib. Did stopping the 2 above mentioned medications cause these changes? Thank you for your help. Hm. I’m not aware of a significant connection between the medications you describe and developing atrial fibrillation. Atrial fibrillation is very common in older adults and could easily cause the dizziness and weakness that you describe, especially if it causes a very fast heart rate. I am sorry if you are being faulted for the older person’s decline. im so sorry about Karen. My mother declined suddenly and unexpectedly after a routine outpatient biopsy on her bladder was performed; a “minor” procedure, we were told. She developed sepsis, a sometimes fatal blood infection, a week after this biopsy, became seriously ill, was rushed to the hospital ER and from that time forward she was never the same. By this, I mean she steadily lost not only her mental clarity, but her ability to drive, live independently, have her pet and have any quality of life (she as 86 when our saga through multiple hospital stays began). Eight years later, she passed away. My comment emphasizes the need to follow a parent carefully after ALL hospital procedures and be alert for changes in cognitive and physical abilities. Oh, how unfortunate that a minor procedure led to all these complications. That sounds a bit unusual, but it’s certainly common for a serious illness to start a downward slide. You are absolutely right, it’s important to follow an older relative carefully after a hospital procedure. Also important for older adults and their families to plan for the possibility that a planned hospitalization or unexpected serious illness might lead to longer-than-expected impairments. This is why advanced care planning (designating a surrogate decision maker, expressing preferences for what family should do if an older adult loses independence) is so important. Hi. I am hoping this is still an active blog. My mother was overdosed on narcotics by a CMA at her assisted living facility. God sent an angel into the library about 2hrs later. Mom was found slumped over on the couch barely breathing. She was ruched to the ER where Narcan was administered. The ER doctor was ready to release her back to her apartment 2hrs later. I told him to admit her for observation. To which, he begrudgingly agreed. The Narcan wore off shortly after she was moved to a hospital room. I stepped out to talk with my sibs, and returned 10min later to find her hadrly breathing. Narcan was administered again. This event occurred about 2yrs after her Alzheimer’s diagnosis. There was an obvious, immediate baseline drop. In the 18 months since the event, we have watched what was once a slow, steady decline become an exteemely rapid decline in mental function, and now having no bowel control. Can you point me to a study that ties traumatic events like this, to acceleration of Alzheimer’s, speficially? Thank you so much for your work. Sorry this happened to your mother, it must have been very scary for everyone involved. I’m not aware of any research studying this association, honestly it would be hard to do, to take Alzheimer’s patients with narcotic overdoses (not sure how often that happens) and then carefully follow their mental function over the next 1-2 years. I guess my question to you would be, why are you looking for such a study, and how are you hoping the information can help you or your mother? People with Alzheimer’s do decline over time, sometimes slowly, sometimes quickly. It’s certainly common for things to accelerate after some kind of health crisis. In almost all cases, the decline over time is heartbreaking for family to witness. My 84 yr old father broke his tibia and fiblia. He had surgery and rehab. He was home for about 2 months until his Dr. Said he could no longer live alone. Then we also found out that he has squamous cell carcinoma. He has been under the care of a neurologist for the past 6 yrs. Since all this has happened in the last 4 months his Alzheimer’s seems to be getting worse. I am worried about seeing him change so quickly and all the issues that have occurred. He use to go to the gym 3 times a week and he’s was just informed that he can no longer go. He refuses to walk around the facility or do exercises at all. Idk. Where things are going and how much faster his Alzheimer’s will progress since all has happened in such a short time. Sorry to hear of this. Unfortunately, it’s quite common for older adults to decline after hospitalization for a fracture, especially if they have Alzheimer’s or another dementia. Fractures and hospitalizations are stressful for the body and mind, so most people with Alzheimer’s get worse. And then because they are worse, it’s even harder for them to participate in rehabilitation. Pain management can be a challenge too. Generally to help people like your father get better, a geriatrician would try to address any delirium triggers. We especially check on pain and constipation, both of which make people with Alzheimer’s worse. Then the trick is to help your father keep moving, both to build up strength and to not get depressed or stir-crazy. It can be hard to manage though, and usually requires nursing or facility staff that are trained in coaxing people like your dad through the recovery period. I have seen some people slowly get better after this situation, but it usually requires a lot of TLC plus probably some luck as well. I hope you can find ways to support your father’s recovery during this time. Another option would be to see if you can get a consultation in person with a geriatrician or palliative care doctor. Good luck! My grandmother has recently had a fall and has now been in hospital for 2 weeks with a fractured pelvis. Before going into hospital she had just been diagnosed as being in the very early stages of alzheimers and only suffered very minor memory problems. 2 weeks on and she is unrecognisable. She is hallucinating, remembers very little, doesnt make much sense when talking, isn’t eating or drinking and is very confused. Can alzheimers really take hold this quickly? Alzheimer’s does not take hold or progress so quickly. It’s delirium that can come on quite quickly, and it often makes people much more confused than they usually are. I hope your grandmother feels better soon. It often takes longer than people expect for an older person to recover from delirium; it can take days, weeks, or even months, once the delirium triggers have resolved. Support from family does seem to help. Good luck! My 95 year old grandpa was walking getting along had early stages of dementia then he fell and broke his him. He had surgery and did rehab. Is home has walked but his mentality is worse but what’s confusing is he will get up around 9 am eat breakfast then sleep all day will refuse to participate in any daily activities will barley take bites of food. But around 5pm he wants to have a cocktail and eat appetizers and then depending what it is he will eat dinner. Then he wants to go to bed but as soon as he gets there he is up will talk nonsense or repeat him self continually . then when 6 am gets here he wants to sleep. Then his day starts over. Is this his dementia getting worse or is he just confused with time. Cause at times he’s alert and knows everyone around him then there’s times he says stuff that is not true or he will stare into space. It’s certainly possible for the answer to your question to be “yes, and yes.” Many people with dementia are permanently a bit worse after surgery and hospitalization. And, dementia itself is associated with all kinds of sleep problems, including getting one’s day/night cycle off. For more information on sleep problems in dementia, including how to have them assessed and tips on improving them, please see this article: How to Manage Sleep Problems in Dementia. It is very common for people with dementia to experience increased confusion when they are moved into a new environment. This is because changes in routine and environment cause stress, and stress makes dementia symptoms worse. Also, if the placement was from home to a facility, the older person often loses access to people who were a source of reassurance and emotional comfort. I am not sure whether to call this delirium or not, but it should certainly be expected. If the person gets good physical and emotional care in the new environment, they will eventually adjust and they should improve. Whether they improve back to their baseline will depend on whether they get enough of what they need (again, physically, socially, emotionally) from the care home. It may also depend on how severely they notice and miss the absence/presence of a previously available caregiver. Now, with a transition to a new care home, there is a high risk of other delirium triggers. For instance, it’s easy for older people to become constipated, either due to a change in routine or a mistake in implementing the same laxative routine as before. Sometimes new medications are prescribed, or old ones are accidentally not included on the new care home’s medication plan. And sometimes older people get sick when they move, possibly because the stress of change depresses the immune system for a bit. So if your father is not doing well after a week in a new home, I think it’s reasonable to investigate further. It’s possible that he is getting excellent care and this is just part of his adjustment. But it would also be reasonable to check and make sure that pain and constipation aren’t an issue, that everything is being done to optimize his physical, social, and emotional health, and that his medications are in order. Many care homes are well run, but some aren’t, and in any case it’s always possible for honest mistakes to happen. You will probably need to spend some time paying close attention to your father’s health and wellbeing, while he adjusts to his new environment. Last but not least: try not to feel too guilty about having had to move him into a care home. I can’t know the particulars of your situation, but in my experience, people only move an older parent into a facility when they have exhausted themselves and their other options. My Dad (81) went into the hospital 2 weeks ago with a UTI. He is in the mid stages of dementia, but was managing on his own until recently. Once out of the ER, he immediately showed signs of Delirium, and the hospital had him in restraints and sedatives. He did not know his name or who I was. I live over 800 miles away, so I cannot be there with him everyday, but when I call, they say he is not any better and he is still sedated. They did remove the constraints, but his has mits on his hands so that he will not pull out his IV, catheter or feeding tube. They are giving him Ativan. Once nurse tried to ween him off of that and put him on resperidone, but he was just too agitated and kept trying to leave, ended up falling so they went back to sedating him. Now, they are planning on releasing him to a nursing facility tomorrow. They have a sitter in there with him 24×7, so i am really shocked that they would release him if he needs that type of care. 1.) Is there anything else that can be done besides sedation? 2.) His infection cleared up within days of being admitted, but there has been no improvement in his mental capacity, absolutely none. Not sure if that is the sedatives, or if he truly does not know his name or who I am. Ugh, sorry to hear this has happened to your father. I am not surprised that he became delirious during hospitalization, as this is very common for people with dementia. However, it’s unfortunate that he has been sedated with Ativan and also restrained. Both of those approaches can paradoxically agitate or otherwise worsen the mental state of people with dementia. So they are supposed to be used as a last resort when other approaches have failed. In terms of what to do now, I would recommend you take a good look at our related article on hospital delirium, as that goes into more details than this article does: Hospital Delirium: What to know & do. Basically, treatment of delirium requires evaluation to identify all triggers and exacerbators, treatment/management of everything that is aggravating his mental state, and then a supportive environment to help him recuperate. In many cases, the presence of family or other reassuring people can be helpful. I always recommend that family try to check for untreated pain or constipation, because these are easily overlooked in older adults and can cause or worsen delirium in people with dementia. Dehydration is another common problem that can be overlooked. If a person is extremely agitated and chemical restraint (i.e. sedation) is absolutely required, most research studies have found that antipsychotics such as haloperidol or risperidone actually work better than a benzodiazepine such as Ativan (unless alcohol withdrawl is a concern). It may or may not be reasonable for your father’s doctors to make another attempt to switch to antipsychotics; you may want to discuss this with them. In terms of how fast his mental state can improve, you should know that in older adults with dementia, it can take much longer than people expect…often days or weeks or even months. This means it can be difficult to know what’s going on in the early days: is the person delirious because there is still an infection or trigger, or is it just that they need more time for the delirium to resolve? Basically the health care team needs to be thorough, but as family it can be hard to make sure they’ve covered all the bases if you aren’t physically there. I do hope he improves soon. Good luck! I need your help, my grandma has Alzheimer and she’s sleeping with me in my room, where I have a mirror, not only she didn’t recognize herself but she started talking to the mirror, it sometimes made her happy, but other times it left her sad and I dont know what to do about it, I want her health to improve and her stress decrease. If your grandmother with Alzheimer’s has suddenly gotten worse (e.g. over the span of a few days), then it’s a good idea to have her evaluated for possible delirium. If you are just concerned because her behaviors are strange or bothersome, then I would recommend a good book on what to expect with Alzheimer’s and how to manage common behavior challenges. You can try Surviving Alzheimer’s: Practical tips and soul-saving wisdom for caregivers. You can also get good advice from your local Alzheimer’s Association, or from a support group for dementia caregivers. I also have advice on managing difficult behaviors here: 5 Types of Medication Used to Treat Difficult Dementia Behaviors. To improve her health, talk to her doctor about your concerns. You should also try to optimize her brain health through these suggestions: How to Promote Brain Health. Good luck! My 93 yr old mom had mild dementia. After attending a wedding,she had stomach cramps. My sister took her to a local hospital where they insisted on inserting a tube down her throat. They found nothing. After that,she was delirious and it was really frightening. My sisters and I spent every moment with her while she was in the hospital. After about 4 days she was released. The cramps had gone away but mentally she never recovered. The dementia got much worse. I wish I had known then what I know now. Although my mom lived to be 98, the last few years,in a nursing home,were not the best. If she had not had that procedure, my sister,with whom my mother lived,might have been able to still care for her,but it became too difficult. Thank you for your article. Thank you for sharing your story. It must have been heartbreaking to see her not recover after that episode of delirium. This website and information has been a life saver for me in my efforts to help my mother who is 76 years old and diagnosed with Alzheimers. She had a couple of unavoidable stays last year in the hospital (due to falls) which accelerated her decline due to delirium which was treated as if she was just being an unruly and difficult patient. Once I understood what was going on due to your information we have been able to protect and support her. I now share this information with everyone I can. Recently I was reading many articles on your website and came across something that referred to what we might expect to contribute to my mother’s decline. In other words, it was quite detailed in challenging the reader to think about possibilities and prepare for the future. If I remember correctly, it encouraged planning and preparing for the seasons along the way as other medical conditions not Alzheimers are the culprit. Right now things are stable and quiet. It is hard to imagine what to expect. I know there is no way to guarantee what will happen. But the article was stimulating in that it had practical information and scenarios which made it more real. This is so needed because I feel paralyzed and sometimes in denial and cannot really envision what to prepare for. Is there any way you know which article I may be referring to? I cannot find it again and want to talk with my sister about Mom’s future. We have a will, power of attorney, health care proxy, etc. in place but this article was so very good and approached preparing from a different place. I know I’m not giving you much to go on but whatever you can share will be helpful. Thank you for your generous heart and help. You are really making a huge difference in this world and in our lives. First and foremost, thank you for this comment, and especially for being specific about the ways in which this site has helped you and your mom. It is feedback like this that has helped me sustain the time and effort that I put into the site. In terms of advance planning for dementia, what to expect is continued slow decline, occasional health crises, and if your mother lives long enough, eventual very late-stage dementia. This would also be a good topic for me to address in an article, but I may not be able to get to it until the fall. Thank you once again for being part of the community, and for sharing your story. My 74 year old mother past away about a month and half ago. Her dementia declined very fast the last two years. We did not know what kind of dementia my mom had, but as I have been reading on the different kinds of dementia, the one that my mom had the most symptoms of was LBD. She would fall at times, hallucinated, her sun downers would happen anytime during the day. Towards this past year she was having trouble walking and her doctor said that it looked like Parkinson’s disease because she would shake. Well Mom got therapy and started improving. She was walking better and getting up on her own. One Saturday morning I took her to the restroom and got her ready for the day. As I we were walking out of the restroom my mom lost her balance. She fell on her hip first and the her body went back and hit the back of her head on the tub. The ambulance came and took her to the hospital. They did a CT and everything was normal. They sent her home. At home we noticed that mom could not walk eat on her own and could not talk very well. My mom past away ten days after the fall. I have been going crazy wondering what happened. Why the fall caused her death. I feel guilty for not being extra careful. I want to know what happened. Maybe you cannot tell me exactly what happened, but where I can get answers. It’s probably too late at this point, but to understand what happened medically before your mother’s demise, you would need an autopsy and probably also a review of all her medical records and care in the months leading up to her death. Her death ten days after the fall may or may not have been caused by the fall. It is quite possible for an older person to develop a problem — such as a heart problem or a preliminary stroke — that can cause weakness and a fall, and can also lead to death soon after. So I would not assume that the fall directly led to her death. You can try to pursue the medical investigation further if you feel you need to. But I would encourage you to instead get help processing your grief and guilt. Even when people are quite careful, accidents happen. Try to not beat yourself up over your mother’s fall. Remember that you were involved caring for her during this last phase of life, which was a wonderful gift to her that not all older people get to enjoy. Remember also that if she was declining from her dementia and other conditions, she was likely to die within a few years no matter what you did. I’m sure you wanted more time with her, and probably she wanted more time too. But life happens in certain ways and we have to accept it. So…please try to remember all the things you did for her, and also try to accept that usually we can never know exactly what happened or why things happened as they did, and part of the process is trying to make peace with this. You did the best you could and I’m sure that overall, you did well by her. Good luck and take care. I read your article and several others.. I appreciate how you explained the different things to look for and how to treat.. My mother had been slowly but stedily declining from alzheimers, for years.. One thing that always made her happy was walking around her yard looking at her flowers, one of those days the neighbor had his dogs out again without a leash, they attacked my mom. the whole way to the hospital she was saying are they going to be mad(meaning the neighbors).. she said they could have bit her but “they” would be mad.. so instead she fell and something scratched her.. At the hospital I explained the whole story. But mom kept saying they just knocked her down. Anyway long story short since that day she was back and forth to dr. and hospital several times, all had a nurse coming every other day. she ended up having surgery on that leg and at that time they new for sure it was a vicious bite. I kept telling everyone that would listen that her memory was getting worse. Within 8 months of the day she was looking at her flowers and was attacked she passed away.. Never went for a walk around her house again. she was so afraid. After that she wouldn’t walk anywhere unless I was by her side, I miss my mom so much and I know she would have still been here had this not have happened. Oh, that’s a sad story. I’m very sorry this happened to your mother, and sorry for your loss. You may find it helpful to connect with others who have also lost an older parent and are missing that person intensely. My husband is. Invincex he’s getting well. I just nod a lot and smile. I worry he’s going to realize it’s not so and crash. What can I do? I am assuming you meant to wrote that your husband is convinced he’s getting well, and that you’re worried that at some point he’ll realize it’s not so. Smiling and being supportive is a good start. As to what else to do, it really depends on your situation and the particulars of your husband’s health circumstances. I would recommend you find a caregiver support group, either locally and in-person, or online. Other caregivers will have lots of ideas and suggestions for you. You can also voice these concerns to your husband’s doctors, they should be able to advise you. Good luck. This is a very useful and informative article. My mother was sent to hospital due to Influenza A with high fever in mid 2015. We believe that she suffered delirium during her stay in hospital. We are not sure whether it was due to her high fever or not but she was disoriented and talking a bit nonsense. We told the doctor-in-charge who arranged an occupational therapist to do a MMSE test on her. The result was, as expected, very low – 16 scores. I find it strange that why the doctor decided to do this test in that situation. Before her stay in the hospital, her score was 21. Recently a geriatrician told me that my mother’s case was probably due to fever, temiflu and the stress/environment in the ward. My mother was discharged a few days later but the condition was improved very slightly and slowly. Last year, she did another MMSE test and her score was 19. Thank you, I’m glad you found this article helpful. MMSEs and other forms of bedside cognitive testing are sometimes done in the hospital, but they should not be used to diagnose or confirm dementia, because there is such a high chance that an older person is delirious and hence will have worse mental function than usual. Delirium is unfortunately very common among older adults with cognitive impairment. Yikes, sounds like you have a lot on your hands. Memory “declining rapidly over the past few weeks” sounds concerning to me. Dementia usually progresses slowly, so if someone starts declining quickly, we usually start checking for medication side-effects and new/worse health problems; the evaluation would be similar to that looking for delirium causes. Your feelings of burn out are also very concerning. It is really common to become burned out by the situation you describe; you have surely been doing hero’s work for far too long and with far too little support. Caregivers often feel quite stuck when they are in your situation; their aging parent clearly needs a lot of help, the caregiver feels overwhelmed, and so it’s hard to figure out how to take care yourself, get more help, and set limits. But, that is what you need to do: find ways to take care of yourself, get more help with your mom, and set healthy boundaries so that you don’t remain burntout or fall quite ill yourself. To get started with this, I recommend joining an online support group for people caring for aging parents. There is a very active one at AgingCare.com, see here. If you post about your situation, I’m sure you’ll get at least a dozen responses offering support and advice. Support groups are especially good for getting advice and moral support on dealing with family members and finding other sources of help. You will need to take care of yourself in order to have the energy and ability to advocate for your mom, and help figure out what is going on with her medically. Good luck! What a brilliant article. My 80 year old next door neighbour was admitted to hospital 3 weeks ago with infections caused by her foot ulcer, which developed about 6 months ago. She has no next of kin as she is an only child, she has no children and her husband died over 20 years ago. We have been neighbours for over 30 years, but as I am not her relative, staff cannot give me any details about her condition or treatments. She has multiple health problems, rheumatoid arthritis which began in her fifties and she developed diabetes about 5 years ago. She had a hip replacement some years ago and developed a blood clot, so she also takes warfarin as well as steroids and diabetic medication. I have noticed a slow decline in her cognitive abilities over the last 5 years, she now has difficulties remembering how to use her computer, microwave and music centre Since going into hospital she has severely declined as is almost always very confused when I visit and suffers hallucinations. She has been assessed by a Social worker who says there is no underlying dementia, although I know this is not true no one listens to me as I am not her next of kin. I now understand, after reading your article, that she is suffering from delirium, but despite being treated with antibiotics for the last 3 weeks there is no improvement. In fact when I visited today she was more confused than I have ever seen her. Her mobility has never been good, but she could get around at home, wash and dress herself and get her own meals. She is now confined to her hospital bed and incontinent. I have been told that she will won’t be allowed home as her care needs can’t be fulfilled there as they are too complex. Who will make these decisions on her behalf as no one has Power of Attorney and as far as I am aware she has no relatives living? I find it hard to see her in this predicament as she was an intelligent, independent, retired businesswoman. – If you noticed signs of cognitive decline in the past five years, then I agree that she most likely she has some dementia (perhaps mild) which is now being worsened by delirium. – The social worker — and the involved doctors — SHOULD take your information about your neighbor into account. We are supposed to consider information provided by all knowledgeable and reliable informants, regardless of whether they are kin or not. People who have lived near or worked with a person for a significant length of time generally qualify. It’s really too bad if they are ignoring your input. – If she is currently still very confused, it’s true that she probably can’t go home. This is going to make it harder for her to recover, esp if she doesn’t have family to visit her and help her recover wherever she is. Normally when an older person loses mental capacity and has no kin or POA, the social workers initiate a petition for guardianship. Some jurisdictions have a “public guardian” who manages the affairs and health decisions for people like your neighbor; in other places, there are professionals who take this on. As her friend and neighbor, you can certainly put what you know in writing and keep providing it to the involved clinicians and others. Good luck, I hope you find a way to help your neighbor! My husband is only 67 but is frequently ill. He has asthma and gets numerous chest infections. He often becomes disoriented and delirious. This has happened since he was in his fifties. As you’ve stated he is often much worse at night and causes me to be very stressed, miss sleep and become socially isolated. I don’t know what to do or who to speak to. You often say to talk to your medical practitioner but unfortunately he is a medical practitioner and in his lucid moments tells me I being ridiculous and that it’s really common to be like this when you have flu/bad chest infection. These episodes happen a few times a year and I am convinced are affecting his cognition and especially worried that he will develop Alzheimer’s. He makes it clear I should not talk to his doctor and would be angry if I did. Once he’s recovered from his infection and is back to normal (delirium over) he implies that he wasn’t as bad as I say and won’t discuss it. (I’ve tried taking videos to show him how bad he is, but that just distresses him and he won’t watch them when he improves as he is humiliated). Our life then slips back into some kind of normality for a few months but I live in dread of the next episode , which I know will occur. How could I deal with this in the home setting or who could I get help from? All yours articles seem to be addressed to medics who are treating patients or to friends and family who have ongoing contact with physicians/ hospitals. Oh wow, this is indeed a tough situation. So if I understand correctly, your husband has a history of asthma, gets “chest infections” (I guess this is some kind of upper or lower respiratory infection) a few times a year, and becomes delirious while ill. It sounds like he does not get hospitalized for these. He is a clinician and he has a doctor, but sounds like the doctor is unaware of the delirium. First of all, I would say it sounds unusual to me that a person aged 50s-60s would become delirious during an illness that is not severe enough to require hospitalization. Becoming delirious outside the hospital IS common in older adults, but usually those people are much older and/or have pre-existing cognitive impairment, such as a diagnosis of Alzheimers. This doesn’t mean your husband has Alzheimer’s or another dementia, but he does sound more susceptible to delirium than most people of his age. This may or may not mean that he has an underlying condition affecting his brain. I do think it’s reasonable to be concerned about his delirium episodes, but for now, it might be more constructive for you to worry less about the long-term impact on his cognition, and more about his own safety during these episodes (if he is getting delirious, he might be developing low oxygen or other worrisome signs that would lead us to usually recommend hospitalization) and also on how these episodes are affecting you. Now about what you can do. It sounds like the communication between you is difficult — at least when it comes to this topic. I don’t know if he’s always been difficult or dismissive of your concerns, but it’s quite possible that he is feeling scared and anxious about this and the possibility that something might be changing in his brain. Plus this topic brings up anxiety for you too. Another issue for you to consider: have you noticed any other changes to his behavior, memory, or thinking, that might be cause for concern? If so, he certainly needs evaluation, but this also means it might be even more difficult to communicate with him and negotiate a way forward. Probably the best way to approach this would be to get someone to help you discuss the issue. A good couples therapist could be very helpful, and is trained to help couples negotiate these issues. (the ideal would be a therapist with experience helping couples address aging issues or health concern.) Alternatively, you could see if someone else in the family or in your circle might be able to help. You can also potentially decide to override your husband, and you can inform his doctor of the issue. It is legal for you to do this, I explain how HIPAA rules apply to family members here: 10 Things to Know About HIPAA & Access to a Relative’s Health Information. And yet another option would be to call for help when he is delirious. It’s medically reasonable since delirium can be the only outward sign of a life-threatening illness. Basically, you will have to decide whether it’s more viable to ask for permission versus ask for forgiveness. I do think it’s best to make an effort to come to an agreement about how this can be brought up to the doctor. In general, you should use “I” messages and emphasize your concern for his wellbeing. Also good to frame your suggestions as ways for him to meet his goals, such as staying in good health for as long as possible. Try to avoid or be very careful in bringing up possibilities that generate a lot of fear. (So, may be better to not say “I’m concerned you will get Alzheimers” and instead say “I’m concerned this could the sign of something wrong, which needs to be detected and addressed,” or “I’m concerned that during one of these episodes, you could fall dangerously ill at home.”) There are actually many non-dementia problems that can affect memory and thinking, I explain them here: How We Diagnose Dementia: The Practical Basics to Know. Last but not least, you need to work on your own self-care and your own resilience and skills in facing these difficult situations which raise anxiety and the prospect of future health changes that you can’t entirely control. Find a support group online (there’s a good one at AgingCare.com). Consider a mindfulness or meditation practice. Consider counseling or therapy for yourself, so that you can better cope with the dread that the situation is currently creating for you. Make sure you get enough sleep and exercise. I wish there was an easy way forward for you but there probably isn’t! Try to take care of yourself and keep doing what you can. Good luck! My mother is 85. She called me about 6 weeks ago and asked if she could come visit me because she needed to get away. My father had passed away 2 years prior and his birthday was approaching. I think she wanted out of the house for a few days. (he was abusive) I said I’d be there as fast as I could (I live 7 hours away) and we planned to get her the following week. In the mean time she slipped and fell in the tub and fractured a rib. She was able to get herself up and called me to tell me she couldn’t come, which I find odd that she didn’t call for help first. She went to the ER and came home. Within a couple days she was extremely confused. She talked about my dad being at the house and stealing her car. She went back to the ER and they discovered a raging UTI. She never came out of her confusion. She was put into a nursing home and has declined ever since. (this all happened in 5 weeks) She was just put on a puree diet because she is pocketing her food. Every test has been done with the exception of a spinal, which is scheduled in 3 days. She sleeps most the time and is hard to wake up. Her tongue is thick and she moves it odd. She stopped using her left arm completely. She’s not walking at all. She stares off at nothing most the time. She occasionally talks but not much and for the most part its repeating what someone else says. She startles very easy. They thought B12 so she started getting shots which did nothing. She’s had a whole lot of tests that I can’t even begin relaying what they were for. What could make her decline so fast? Is the spinal worth it or is it just more traumatic for her? I immediately thought YES for the spinal because its only been a few weeks since she was completely coherent, driving, functioning just fine but now I don’t know. I should add that the doctor has said its rapidly progressive dementia. Which is what brought me to this page. Wow, sounds like your mother has been through a lot these past few weeks. You must be so worried for her. It does sounds like she’s experienced some delirium related to her UTI and hospitalization, but since she’s become quite impaired over the past few weeks, the question is whether she has something else going on in her brain that is causing these symptoms. Staring into space, being inattentive, repeating what others say can definitely be delirium. Not using her left arm at all sounds more unusual, but presumably they have scanned her brain and concluded it’s unlikely to be stroke or something similar. True rapidly progressive dementias are unusual but they do happen, and some can be treated. Among other things, they can be related to autoimmune activity affecting the brain and to certain viral infections affecting the brain, so that is part of why a spinal tap (which allows analysis of the cerebrospinal fluid, aka “CSF”) is being recommended. Given all she’s been through, adding on a spinal tap will probably only be a small amount of additional discomfort/distress. It might provide some useful information to the doctors, and it might help them tell you what they think is going on, and what to expect. If they don’t identify a specific cause for her symptoms, then it’s possible that much of her confusion is due to delirium, and she may well improve with time. It can take weeks or months. You say she was in good condition before this all happened, so she has a decent shot at improving from delirium, although she may not quite get back to how she was before. he seemed pretty good after surgery and was good in the hospital, just repeated himself a bit and once asked for his deceased mother. He has not been diagnosed with Alzheimers or dementia. And that the facility is making him work in a grocery store against his will. Its all extremely scary and My mother is freaked out, we all knew the physical recovery would be difficult, but no one was prepared for this variable. Any advice or encouragement would be extremely appreciated. So sorry to hear that his mental state has deteriorated while in rehab. I’m sure it’s indeed very scary. It does sound a lot like delirium, which is very very common. Generally, if someone gets worse like this a few days after hospitalization, we would start an evaluation to look for causes and triggers of delirium. I would recommend reading the related article on hospital delirium, there is a lot of information relevant to your situation (esp in the comments section): Hospital Delirium: What to know & do. When talking with your dad, try to avoid stressing him out. This usually means being reassuring and soothing, and especially not arguing with him or trying to explain why his concerns are invalid. With time and the right treatment, most people eventually improve. Good luck! My mother was fine and functioning well at home until 86. Then she was hospitalized for late-age onset Myasthenia-Gravis; acquired Sepsis-shock and a C-Diff infection and then her cognitive health declined rapidly. She is now 88, in a nursing home, has bad dementia, is incontinent and bed-ridden….it is so heart-breaking ! Oh, that does sound awful. I hope that at least it’s a decent nursing home, so that she can still have good moments despite the challenges. My mother is 75 and was diagnosed with dementia 5 years ago. She has shown significant decline the past few months . Her mother past away a month ago and since then she has really declined. She is showing signs of Delirium everyday (sometimes most of the day). Can a trauma like a death cause delirium in a person with dementia? Does this typically progress or get better with time? My dad is with her most of the time and we don’t know how to get them help. Sorry to hear of your family’s recent loss. So, what you’re describing sounds like it falls into that gray area between “true” delirium and a person with dementia doing worse because they’re unhappy or anxious or stressed. If your mother has gotten worse over the past few weeks, it certainly would be reasonable to consider a medical evaluation to make sure she’s not experiencing one of the usual medical causes or contributors to delirium (electrolyte imbalance, medication side-effect, pain, constipation, dehydration, etc). Infections such as UTIs are also a common cause of delirium, but usually those will either clear up on their own or get worse within several days, it would be unusual for an infection or other serious illness to cause nothing but extra confusion for weeks. Otherwise, whether or not we call this delirium, the answer to your question is yes, bereavement or grief or other mental trauma can certainly cause a person with dementia to get much worse. I don’t think this has been as well studied in research, compared to hospital delirium, so hard to know what to predict for her future. Grief and bereavement in cognitively normal people often causes distress for months or longer, as you probably know. I would recommend you contact her usual healthcare provider for more guidance as to whether a medical evaluation seems justified or not. Otherwise, you will need to do your best to provide her with as much emotional support and stability as you can. She may eventually get better but she may not…among other things, the nature of this kind of disease is that people slowly get worse over time. Just do the best you can to support her, and keep an eye out for medical problems that could make her worse. Good luck and take care! Hello Dr. Kernisan; my husband is in the beginning stages …not sure if I should call it Alzheimer’s… but whatever it is; he gets confused, can’t follow directions, and his short-term memory is getting rapidly worse. We live in a large house, and he always tended to the garden, which he loves. I would like to downsize before he gets worse… or is it already too late? He has agreed to this. I’m just wondering if moving may speed up the decline, and just make everything worse. I would really want to simplify our lives and move as long as we can physically do so. I am looking forward to reading your comment on this. Thank you. So sorry to hear of your husband’s difficulties. Probably there is no right answer as to whether you should move or not, all you can do is consider the likely pros and cons of your options. It’s true that if you move, this will be stressful and disorienting for him in the short-term. It’s hard to know whether this will accelerate his decline or change his long-term trajectory, it would depend in part on how well you can support him through the transition and also on how well the new environment meets his needs. Every person with cognitive impairment benefits from activities and companionship that provide pleasure, stimulation, and reassurance, and being out in nature is also generally very good. If you move, will there be a garden or other opportunity for him to enjoy time outside? On the flip side, if you stay, in the large house a burden for you financially, or in terms of maintenance? Yes, he may love the garden but you have to take other issues into consideration, including your own wellbeing and stress. On a separate note: I hope you will be able to get him a good evaluation, as it’s important to have him assessed. It’s possible that certain things can be done medically, to help him think or feel better. I have more information on evaluating cognitive difficulties here. Good luck! Some people are also reporting improvement with Dr. Bredesen’s approach, which involves a very detailed evaluation and then very detailed lifestyle intervention. Thank you so much for your long answer. You have confirmed many of my own thoughts. I will wait and see what the evaluation comes up with, but at this point, I tend to think we should remain in our house. I think it would break his heart if we moved. I guess I will downsize within the house, and when the day comes to move… I will be prepared. I’m going to check out your link. Thank you again for your time and valuable advice. I was wondering whether the loss of a loved one would accelerate Alzheimer’s? Our grandfather was diagnosed with the disease 8 years before he passed away. Over this time his partner passed away, a few years later our father passed away and he was also hospitalised many times from falls and car crashes. Which I have no doubt increased his decline. However, our aunt took him to get his will changed 7 years after diagnosis, so that she was the sole inheritor. Where can we find facts for this that would hold up in court? We loved our grandfather dearly and it’s so terrible to discover our aunt had exploited him in his final years. This sounds like a sad and difficult story. Grief and bereavement can certainly make a person’s mental function worse. Whether it may have accelerated your grandfather’s decline is probably not relevant to the issue at hand, as we would expect most people to decline mentally within 7 years of an Alzheimer’s diagnosis, whether or not there had been bereavement. I’m not an attorney and don’t have particular experience in questioning changes to a will, especially after the person in question has died. In general, my understanding is that for a legal document to be valid (including changes to a will), at the time of signing the document, the person has to have the capacity to understand the document and the implications of signing it. 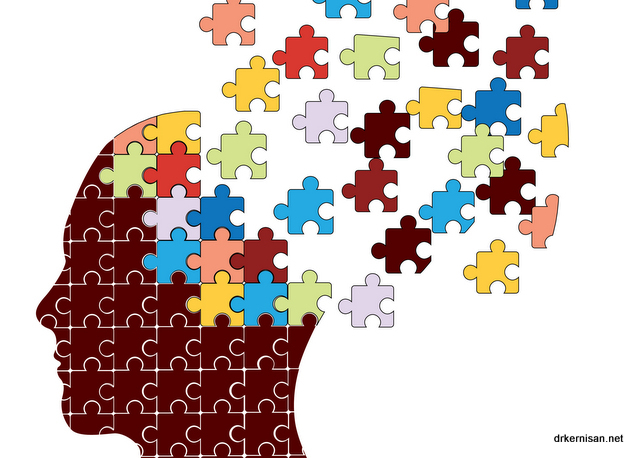 A diagnosis of Alzheimer’s by itself doesn’t mean a person has lost capacity to change his will, but once Alzheimer’s has progressed beyond the early stages, most people eventually lose the ability to sign legal documents. I suppose if you wanted to question his capacity to sign the will, you could try to gather evidence of what his usual mental abilities were at that time in his life. I would recommend consulting with an attorney who has experience contesting these kinds of will changes in people with a dementia diagnosis. They would be better able to tell you what kind of evidence you would need to pursue a case. It surprised me that some people with delirium can never fully go back to their previous level of brain function. I have a grandmother who was very lively before she was diagnosed with alzheimers and dementia, and ever since we took her to her care center she has been more distant. I hope that overtime she can retain most of her personality. Yes, some people with dementia become more withdrawn after a move to a care center. She may improve once she adjusts. Or it might be her condition progressing. Or it’s potentially that she’s not getting good care there. You may want to check on how things are at the care center, to see that she’s getting enough stimulation and kindness. Good luck! I had never heard of this complication until about 2.5 weeks ago when my mom had abdominal surgery for cancer. She developed delirium while in the hospital after surgery and it has been so scary. Sleepless nights full of terrifying hallucinations for her and a level of exhaustion for myself I had never experienced before. I have suspected for quite some time that she had signs of dementia. I alerted her PCP to my observations, but hadn’t said anything yet to my mom for fear of offending her. Anyways, I don’t really know where to go for help for her. Her hospital doctors blew it off and just told me it was common. Her PCP said he can’t refer her anywhere until she can leave the rehab place where she is headed to today. Since she had been showing decline long before surgery, I just don’t have a clue how long it will take to see any improvement, or if she even will. I just wish I knew who to call to help her now. Sorry to hear of your mother’s situation. If you’ve noticed changes and had previously suspected dementia for some time, then it’s quite possible that her health providers will eventually confirm this diagnosis. Normally they should wait for a while for her delirium to improve. Some older adults improve quickly, but some of them take weeks or even months. I did recently write an article about what an initial evaluation for cognitive concerns should cover. The history of when problems started is important, be sure to let the doctors know this. Good luck and I hope she improves soon! I wonder how much delirium has sped up the onset of my mom’s Alzheimer’s. She had 5 major surgeries in her 60’s (foot and hips surgeries) and each time she went through months of really bad forgetfulness. Each surgery made her worse, and last time I found all of her narcotics and other meds all mixed in a bowl on her counter. It was scary. She had no idea what she was taking and every time I asked I got a different story, “I haven’t taken oxycodone for 2 weeks” then the next day “I haven’t taken oxycodone since yesterday”. Anyway she is in rapid decline Alzheimer’s now at age 71 and I just wonder how much all the surgeries followed by delirium may have impacted that. Sorry to hear of your mother’s decline. Unfortunately, it’s never possible to know exactly what contributed more or less to a particular person’s decline in Alzheimer’s. It’s certainly possible that the surgeries and any related delirium might have made her worse, but we can’t know for sure. If you are wondering how to help her stabilize and maintain what is left, being very selective about future surgeries would make sense. Otherwise, I would encourage you to get as much support as you can, in processing your feelings. It’s very normal to feel sorry, grief, frustration, the “if only” feelings, etc. Don’t go through this alone! There are online dementia caregiver support groups that can help. They can also provide ideas on how to help your mother have the best life possible now, and for whatever time she has left. Good luck and take care! My nanny recently celebrated her 106th birthday and lived with my aunt (her daughter) until recently. She could walk with the walker from room to room, had no real signs of dementia, could eat what she liked, sit outside on the terrace and was in general good health for this extreme old age. A few weeks after her birthday, she fell,hit her head and fractured her hip at home. She was hospitalized for 3 weeks and suffered delirium and is now in a nursing facility; has extreme confusion, agitation,keeps screaming that she is a lesbian and babbles and mumbles incoherently and incessantly. I realize she is very,very old now at 106,….but my question is this: can delirium actually make a person so sick and mentally impaired so fast after a trauma or illness like this ? How wonderful that your nanny celebrated her 106th birthday, that is a rare and special achievement. The answer to your question is yes, when things like hospitalizations, head injuries, fractures, and/or delirium occur, it is possible and actually fairly common for an older person to experience a drastic impairment in mental abilities. The older a person is, the more likely this is to happen. Also, generally the older a person is, the longer it takes to recover, and some people never recover all the way to the way they were before. I hope your nanny has gotten at least a little better by this time. Good luck! Hi. Thanks so much for your articles and for taking the time to respond to everybody… My mother is 81 and was diagnosed with Alzheimer’s about 4 years ago. She is Dutch but lives in France and I live in Australia. She has also been suffering from severe depression and anxiety. A few things I’m wondering about. Her dementia started shortly after her doctor prescribed antidepressants. She immediately told me about how she suddenly felt like her head was hot and sweaty, she felt confused, had sudden memory losses and had heart palpitations… I looked up side effects of fluoxetine and these were possible serious side effects of that medication. Her gp was away and she went and had her heart checked but as she was told to not get off the antidepressant she didn’t. What she did do was to reduce the dosage and that seemed to abate some of those symptoms. Could this have triggered her dementia? Her doctor never thought to change the medication. In May this year my dad passed away suddenly. He collapsed and mum found him. She had started to not know who he was. She was very confused and had no memory of finding him and asked many times who found him or if the funeral had happened. Then in June she had a hip replacement. She did suffer from delirium and after 3 days became agitated, bit my brother and ended up being restrained Day and night which was extremely upsetting… I spoke with my mum on the phone twice in June and at first she had no idea wher Melbourne was and second call a few weeks later she could only say two words. Then she wasn’t able to speak French and reverted to Dutch. And for a little while in German. She did work as a nurse in geriatric hospitals and did work in Germany for a while. Why speaking in German? She also was trying to eat scrabble pieces. Now it is August. She became more agitated and has not gone home still in hospital although was transferred this time to a geriatric hospital. She is not walking, is in a wheelchair doesn’t talk can’t eat on her own and sleeps most of the time not even holding herself in the chair hardly opening her eyes. My brother sent me a video… what happened to my mum? How can she have declined so quickly? I’m going over to France in a few weeks and haven’t seen her in 2 years. I’m devastated. How can she deteriorate so quickly? Could she be sedated? I don’t know what to expect during my visit…. Sorry to hear of your mother’s decline these past years, and also more recently. Well, it is possible to develop a new dementia quite rapidly but it’s actually quite rare. What is far more common is that an older person has developed underlying Alzheimer’s or another neurodegenerative condition (which starts changing the brain at least 10 years before there are symptoms), and then sometimes an episode of delirium or a medication side-effect can quickly tip them into much worse mental function. This may be what happened to your mom a few years ago. Many newer antidepressants are considered “well-tolerated” by most older adults, but some people do have more of a reaction or more significant side-effects. In terms of her decline over the past few months, you describe a number of pretty significant stressors to her mind, body, and overall health. First she was suddenly widowed, then she had a surgery and sounds like that may have been complicated by delirium. Poor thing. In terms of not walking now, I can’t say why that’s happening, but I will say that people her age lose physical strength very quickly when they are bedbound and generally it’s pretty easy for them to enter a self-reinforcing negative spiral once hospitalized. It is possible that she’s also being sedated, to manage confusion or agitation related to her dementia +/- current (or slowly resolving) delirium. – What are they doing to help her restore or maintain mobility? – How do they expect her condition to change/progress over the next 3-6 months? – What could be done at this time to improve her comfort and quality of life? Good luck with your visit and good luck to your family. I hope you get some answers during your trip and that you get to spend some quality time with your mother. Hi.. the other issue is that the doctors at the hospital yesterday refused to tell my brother what medication our mother has been put on. Reason given “secret medical” I don’t know what the equivalent is in English. I’m upset about this. What medication can be given for a patient who is agitated? Psychotropics? I think you said your mother is in France? I’m not sure what the rules are there. Since your mother has been diagnosed with dementia a few years ago, I would think that there is a mechanism to enable a family member to make decisions (which requires adequate information). Perhaps they will tell your brother? People with more than very early dementia need others to oversee medical decisions, esp when they are ill. I describe the medications given for agitation in the article on medications for difficult dementia behaviors. Thank you so much for having taken the time to answer my query it is very helpful. The doctors were concerned about her serious decline in mobility and after a brain scan today have observed two large hematomas on each side of the brain which were present in July however have increased rather significantly. They have suggested an operation tonight which we have agreed to. Mum is not really talking anymore but rather using her vocal chords to make noises which sometimes sound like she is singing in a rather high pitch noise. I understand this has been shrinking her brain and she should get some mobility function back but not very likely to improve her cognition. This doctor told me that she had been put on bezodiazepine medication for her agitated behaviour… I’m not sure what to expect but hope surgery goes as well as possible. I hope to see her at the end of the month. Thank you for your help. Kind regards Claire. Yes, it is possible for older adults to develop such hematomas in the brain, especially after a fall or if they are on blood thinners. I hope the surgery went well and that she recovers quickly. Good luck and take care! My 75 year-old darling mother-in-law went from normalcy to delirium in 2 days! We suspected some declining mental abilities, but often we attributed it to age and personality. We are at a loss and the hospital has no real answers yet CT normal and MRI does show some slight whitening in the frontal cortex but they said it could be normal aging or early dementia. They still can’t find any underlying disease that would have triggered this—she is now like some ghost. It’s horrific. And we had no preparation. She lost her 10 year old grandson (my nephew) to brain cancer last year and this occurred shortly after she hosted a celebration of what would have been his 11th birthday just two weeks ago. There is some speculation that depression led to this seemingly overnight decline, but we have nothing definitive. We just don’t know what to do. She is at a tiny country hospital that doesn’t have access to a neurologist and it just makes it harder. So sorry to hear of your mother’s recent mental decline. And how sad that your family lost your nephew at such a young age, that must have been a devastating loss. Depression can in some causes cause psychosis, so I suppose that’s a possibility. Otherwise, if you’d noticed signs of mental decline in the past few months, that could also be depression or it could a slowly progressing cognitive condition, or even type of medical problem affecting brain function. If she is delirious now, they should continue looking for causes and triggers, as they are doing now, and otherwise management consists of supportive care and waiting for things to improve. I’m sorry I can’t offer any more specific suggestions. I hope she starts doing better soon. Good luck! Sounds awful indeed, this must be very hard for your family. An MRI, in all honesty, is unlikely to make a difference. Generally when evaluating delirium we look for infections, metabolic imbalances, medication side-effects, dehydration, and other things that don’t show up on MRI of the brain. Otherwise, it’s a matter of time and supportive care. You might find it helpful to read the related article on hospital delirium, if you haven’t already done so. I hope your mom starts to improve soon. good luck! I’ve read that 30% of patients with hospital delirium decline permanently. Up tp 50% of ICU patients develop some form of HD. It’s hard to specify an exact statistic for how many people decline, because the studies are done on different populations with varying levels of follow-up. But yes, it’s true that some people never recover back to their previous baseline, and delirium has been associated with accelerated cognitive decline. For more on efforts to reduce delirium, you might enjoy the podcast episode with Dr. Sharon Inouye. She’s the geriatrician who pioneered the study of delirium and developed proven programs to reduce delirium in hospitals. My father was diagnosed with Dementia in April 2018. The symptoms were at first somewhat mild and he was put on Aricept. In about 6 months we quickly saw a deterioration. He left home in the middle of the night because he had delusions that a family member was trying to hurt him. He then came to stay with me. While in my home, he experienced hallucinations, agitation, and delusional thinking. He also became aggressive and would refuse to eat or take his medication. He was hospitalized for about 3 weeks and we had to make the decision of putting him in a long term facility. Since being at the facility he was hospitalized once due to his hallucinations and increased agitation. He had also began to refuse to eat or take his medication. When he was discharged from the hospital and went back to the nursing home, he was calmer but continues to eat the food at the nursing home saying they’re poisoning his food. He does comply with his medication however also refuses to bathe. I bring him food daily in the evening and leave foods for him to eat during the day. He is also on Ensure. He has lost about 15 pounds in about 3 months because he is not getting enough food during the day. He does not comply with the nursing home staff when they encourage him to eat during the day and he waits for me in the evening to eat. I spoke to the doctor and pretty much they’re treating him mostly for the psychosis ( Haldol). I haven’t gotten any answers on what to do by the nursing home staff and just at a loss. I don’t want him to keep losing weight and would ideally would want him to start eating again from the nursing home ( but the delusions prevent this from happening). My father also does nothing but stay in his room all day and does not participate in anything at the nursing home which I know is contributing to his decline. I am also feeling that this facility may not be too experienced with memory care. However I am apprehensive in moving him because of fear that my dad may still have these difficulties anywhere he goes. Sorry to hear of your father’s dementia and decline. You don’t say how old he is, but since his situation sounds quite complicated, he might benefit from consultation with a specialty memory clinic (e.g. at an academic medical center) or perhaps a geriatric psychiatrist. Delusions are common in Alzheimer’s, but his sound like they are really affecting his quality of life and his health. Last but not least, I would recommend finding an online support group for dementia caregivers; they will have ideas about what you can try.